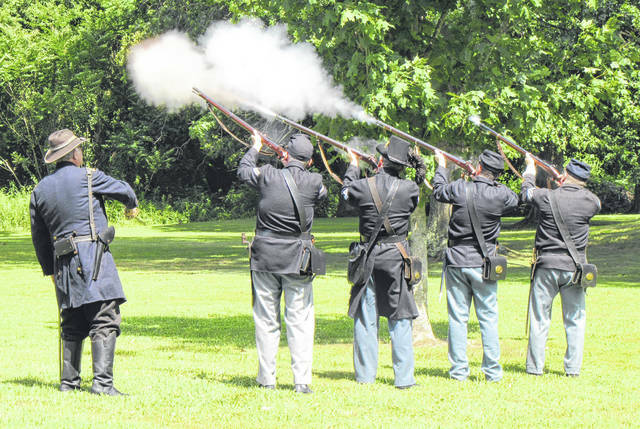 https://www.mydailytribune.com/wp-content/uploads/sites/42/2018/07/web1_7.25-Buffington-1_ne2018724143855796.jpgA Firing of Salute was held as part of the Memorial Service to commemorate the 155th anniversary of the Battle of Buffington Island. 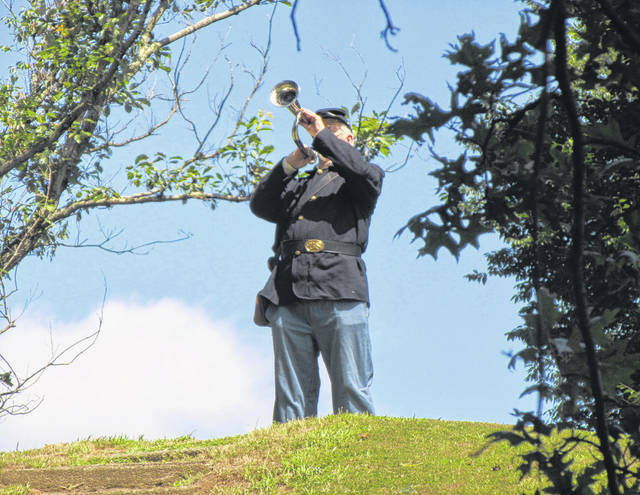 https://www.mydailytribune.com/wp-content/uploads/sites/42/2018/07/web1_7.25-Buffington-2_ne20187241439053.jpgTaps were played to conclude the ceremony, with one man playing at the top of the Indian mound. 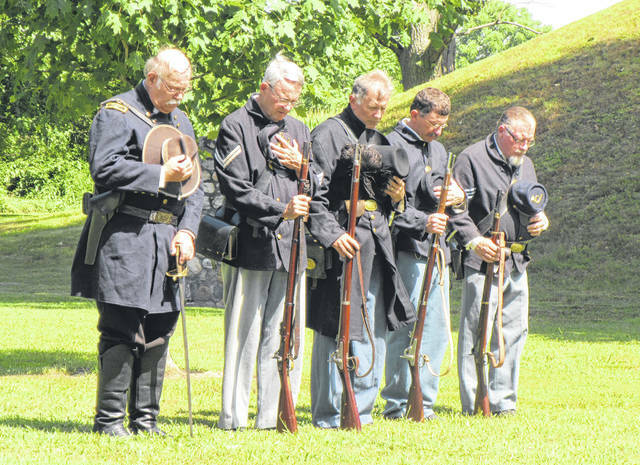 https://www.mydailytribune.com/wp-content/uploads/sites/42/2018/07/web1_7.25-Buffington-3_ne201872414393175.jpgReenactors pause to remember those lost in the Battle of Buffington Island. 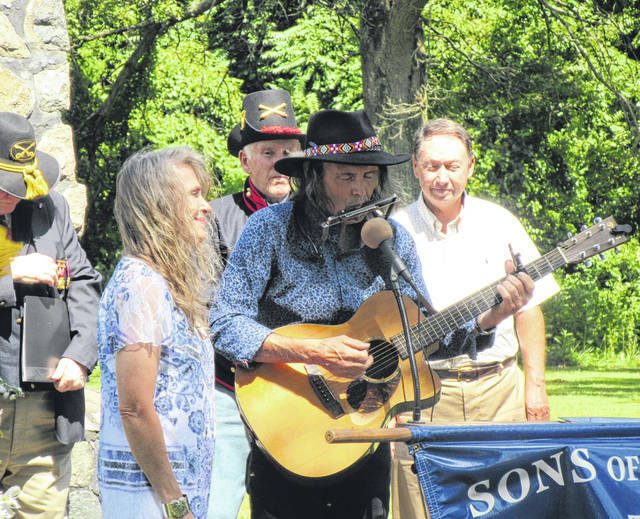 https://www.mydailytribune.com/wp-content/uploads/sites/42/2018/07/web1_7.25-Buffington-4_ne201872414396754.jpgSteve Free played and sang during the service and during the lunch which followed. 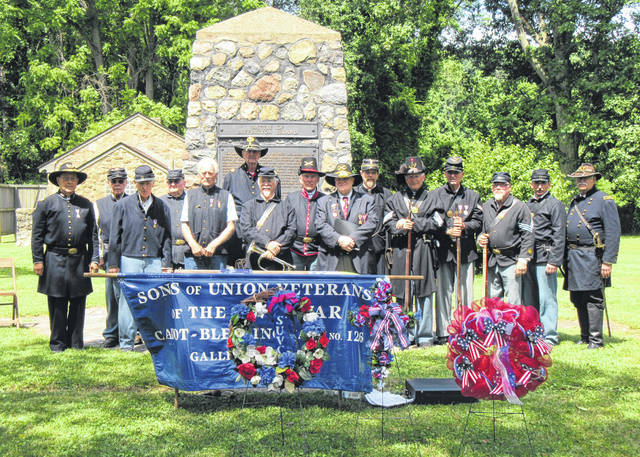 https://www.mydailytribune.com/wp-content/uploads/sites/42/2018/07/web1_7.25-Buffington-5_ne2018724143910639.jpgOhio Department Sons of Union Veterans of the Civil War Commander Kerry Langdon spoke during the memorial. 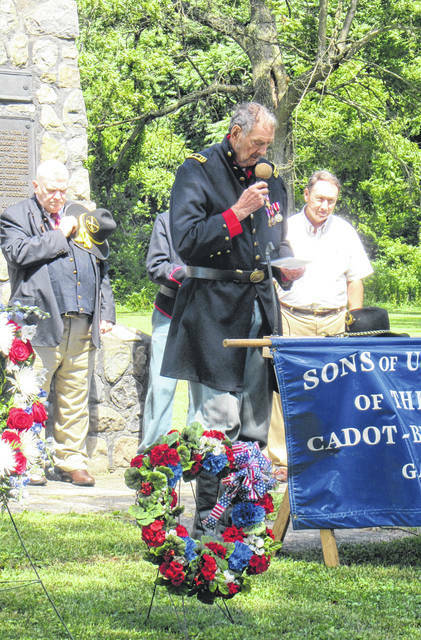 https://www.mydailytribune.com/wp-content/uploads/sites/42/2018/07/web1_7.25-Buffington-6_ne2018724143914712.jpgHenry Myers, Chaplain of the Cadot-Blessing Camp #126, gave the benediction. 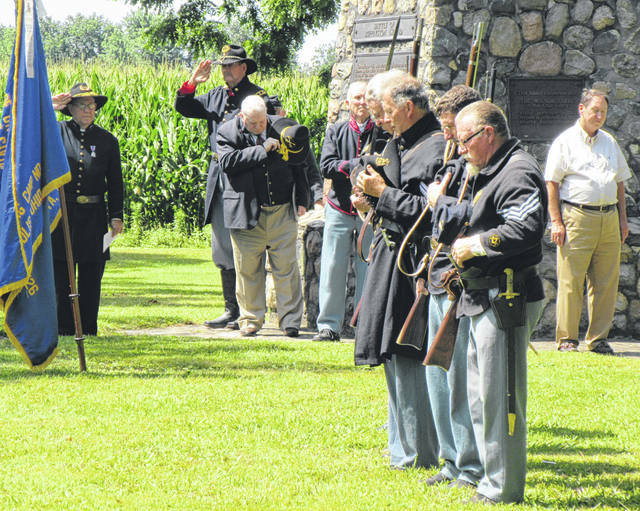 https://www.mydailytribune.com/wp-content/uploads/sites/42/2018/07/web1_7.25-Buffington-7_ne201872414391974.jpgService participants pause as Taps are played. 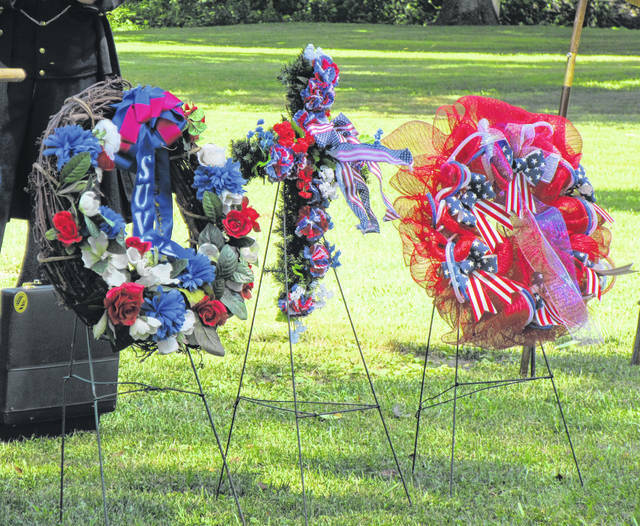 https://www.mydailytribune.com/wp-content/uploads/sites/42/2018/07/web1_7.25-Buffington-8_ne20187241439231.jpgWreaths lined the area in front of the memorial. 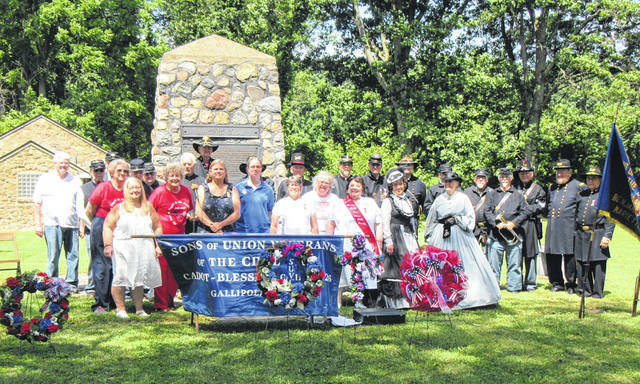 https://www.mydailytribune.com/wp-content/uploads/sites/42/2018/07/web1_7.25-Buffington-9_ne2018724143927288.jpgNumerous organizations came together to remember those killed in the Battle of Buffington Island. 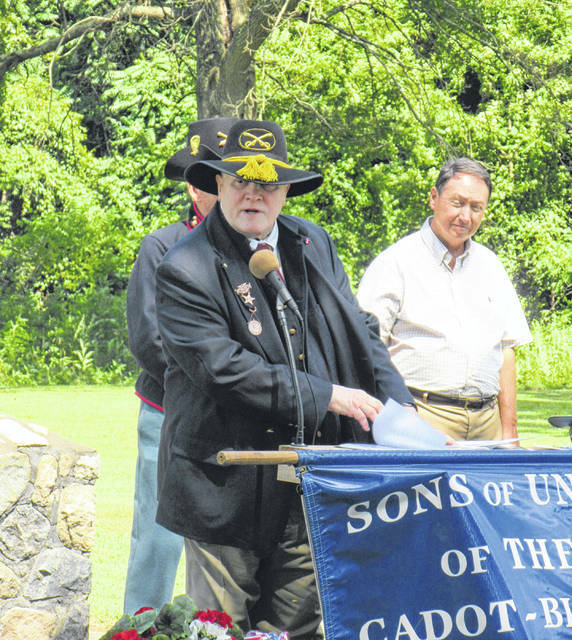 https://www.mydailytribune.com/wp-content/uploads/sites/42/2018/07/web1_7.25-Buffington-10_ne2018724143930684.jpgNumerous organizations came together to remember those killed in the Battle of Buffington Island.